‘That’s it.’ Yirra’s mum stands up. ‘Demon’s done something disastrous nearly every day for the past two weeks. This is the last straw. You are grounded, Yirra, and you are NOT going on the excursion to Bare Island.’ Yirra’s mum is so angry she says each word louder than the one before, so Yirra knows exactly how angry she is. Yirra loves her dog, Demon, a Siberian husky. But Demon is always getting into trouble. He steals the neighbours’ underwear, makes a mess in the yard, and jumps on people. Now Mum has had enough of Demon’s naughtiness and is threatening to get rid of him. Yirra only has two weeks to train him, or he will be sent away. Yirra and her deadly dog, Demon is a fun novel for primary aged readers. Set in the La Perouse community, the book is a collaboration between author Anita Heiss and the students of La Perouse Public School. As such the book gives an insight into contemporary urban indigenous life in Sydney. And, because of the collaboration, the book has an authentic viewpoint character. Kids from all over Australia will connect with Yirra as she plays with friends, goes to school, and worries about her dog. 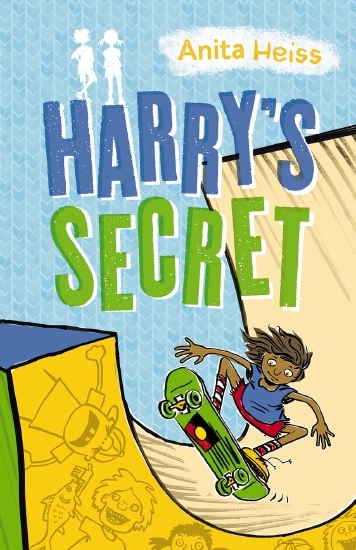 An entertaining read, suitable for 9 to 12 year ld readers. My Story – Who Am I? “Matron Rose said I should write in you every day about all the things I do and stuff. And I do lots of things that I’m gunna tell you about.” So begins the diary of Mary Talence, aged 10, Sydney 1937. Mary’s story, presented via her diary entries, begins at Bombaderry home for Aboriginal children. Mary has been living here since she was five, but remembers another home- with her Mum and Dad and lots of brothers and sisters. Mary likes her family at Bombaderry, including her best friend Marj, and the babies she looks after, but she still misses her Mum and wonders why she doesn’t come to visit. Mary’s life changes again soon after the diary begins, when she is fostered by a white family. The diary follows her struggle to assimilate into the white society she finds herself living in. Mary is repeatedly told that to be Aboriginal is bad and that she must forget her past. To Mary this is incomprehensible. Who Am I ? creates an awareness and understanding in young readers of the policies of protection and assimilation of Aborigines which were practiced in Australia until 1969. By using the intimate first person format of the diary, readers are given a first-hand experience of the emotional effects on the children from the ‘stolen generation’ of being removed from their families and stripped of their identities. Who Am I? is part of Scholastic’s ongoing My Story series, presenting the stories of young people in different periods of Australian history. A quality read for readers aged 10 and over, and also suitable for study as an in class text.